Disney has just joined the roster of studios that make HD titles available for purchase and download through the Kaleidescape Store. The announcement below, from CEO Cheena Srinivasan, went out to Kaleidescape customers this morning. About 100 Disney titles are available in the store right now for owners of the Kaleidescape Alto player, with many more to come. Owners of Premiere and Cinema One systems will receive a software update in July to add support for Disney movies. I am delighted to announce that the Kaleidescape Movie Store now offers titles from Walt Disney--one of the most admired brands in the world. Animated and live-action favorites, such as Disney's Sleeping Beauty, Pixar's Finding Nemo, and Marvel's The Avengers, are available for purchase in Kaleidescape's HD format, which is renowned for bringing Blu-ray quality to Internet-delivered films. Starting today, Disney titles are available in the United States and Canada for download and playback on the Kaleidescape Alto. Support for Disney movies on Premiere and Cinema One systems is coming soon, with a kOS software update planned for July of 2015. More details about the kOS update will be available when it is ready. We have licensed over 700 titles from The Walt Disney Studios. About 100 of these titles are already available in our Movie Store. The additional titles will be added to our Store in the weeks to come. We are pleased to provide you with the highest-quality Internet-delivered content from the finest Hollywood studios. 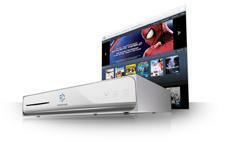 • Kaleidescape Introduces Alto Movie Player at HomeTheaterReview.com.